The last few days we have been capturing drone footage in the lower part of the valley that we have been studying. This footage will give us very detailed aerial images of the study area, at a level of detail that we cannot gain from walking around the field site, or from conventional satellite images. On Sunday morning we went to church with Laura, one of the Danish researchers at the base. 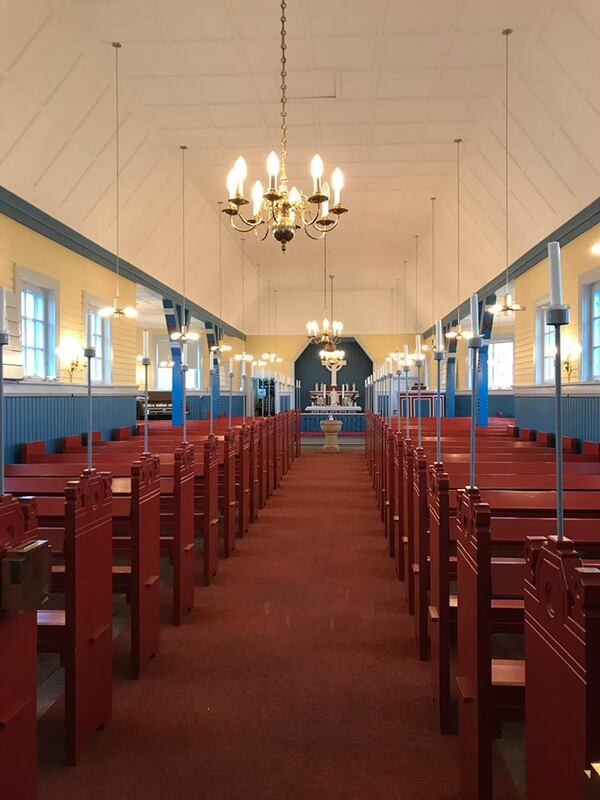 The service was conducted in Greenlandic, but we had the help of a hymn book to navigate the hymns. The church is a small wooden building, and very pretty inside. It was great to be able to take a look inside and enjoy the service while the snow and wind whirled around outside. Samples are raring to go. Next stop…the lab! We are now just about ready to head to Ilulisat on the ferry to begin our journey home. We are looking forward to seeing the Isfjord! It’s been a very fun and productive field season at Arctic Station, and we have met some great researchers. We hope the come back soon to continue the research! 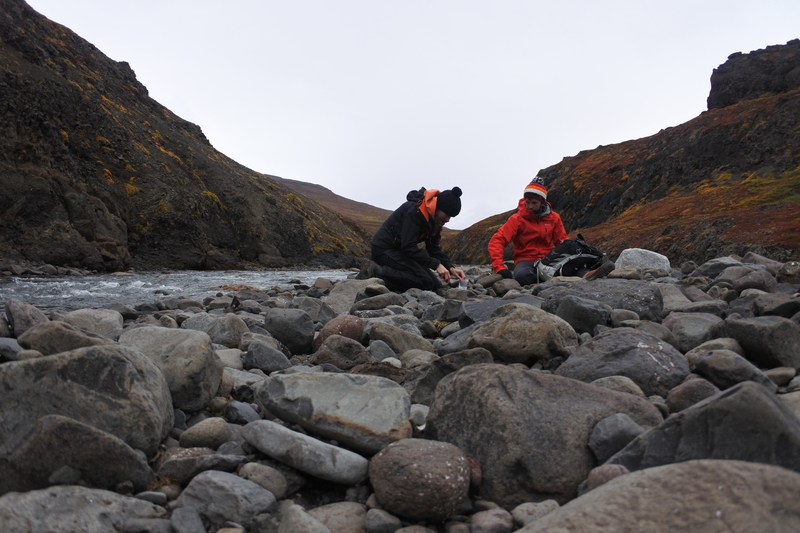 Today we completed our sampling of river sediment – meaning that we have a transect of samples all the way from the ice cap to the ocean, covering a distance of around 15 km. This will allow us to look at changes in the sediment characteristics as we move downstream away from the ice. 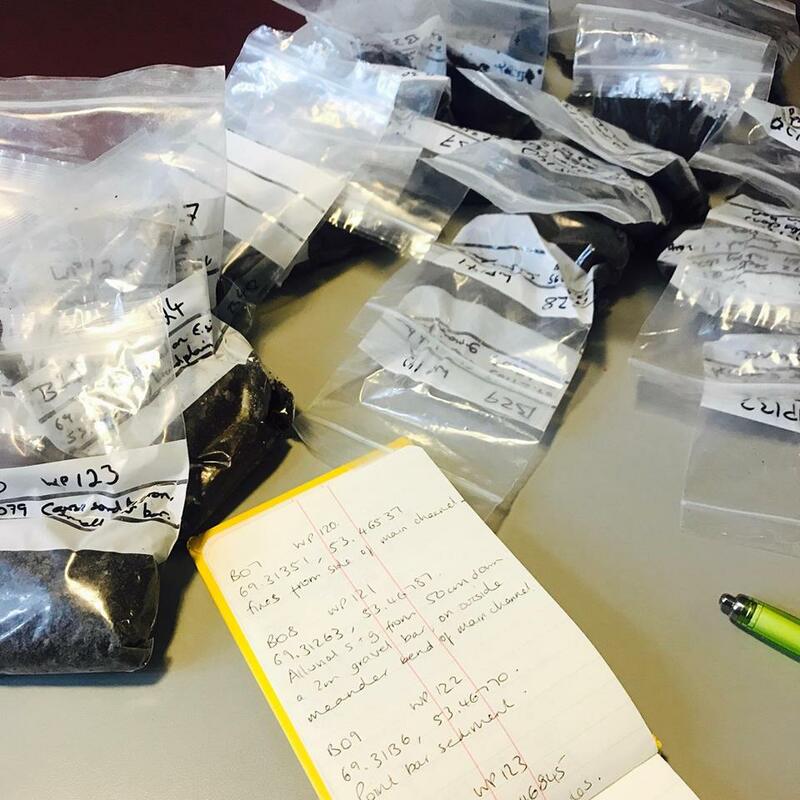 When we get back to our universities we will measure things like carbon and minerals within the sandy, silty samples. All of our samples are wrapped in foil and plastic sample bags, and we now need to get them ready to transport back to the UK. The trowel can finally have a day off. 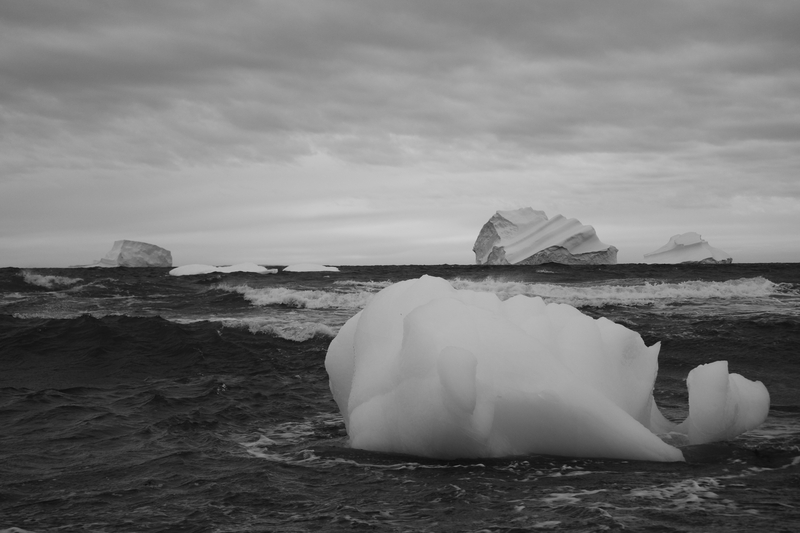 This afternoon the weather started to close in, and the icebergs in the bay started to move and break up. While we were out sampling near the coast we heard one of them crack (it sounds a bit like a gunshot) and break up, and we saw another one start to roll over. The strong winds made for some large waves battering the bergs. We were glad to have finished our day’s fieldwork before the wind and rain set in. By teatime the weather turned very bad with thick clouds, strong wind, and heavy rain. We were all glad to be inside for the evening. With the supermarket closed for the day, that cinnamon swirl will have to wait until tomorrow…. 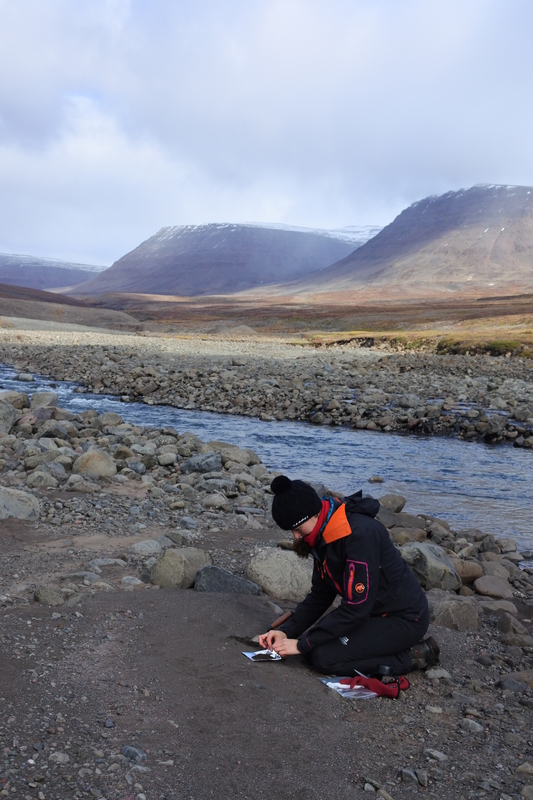 After a rest day we were back in our boots and heading into the field to continue our sampling campaign along the Blaesedalen River. We had to start from our camping site and head downstream. 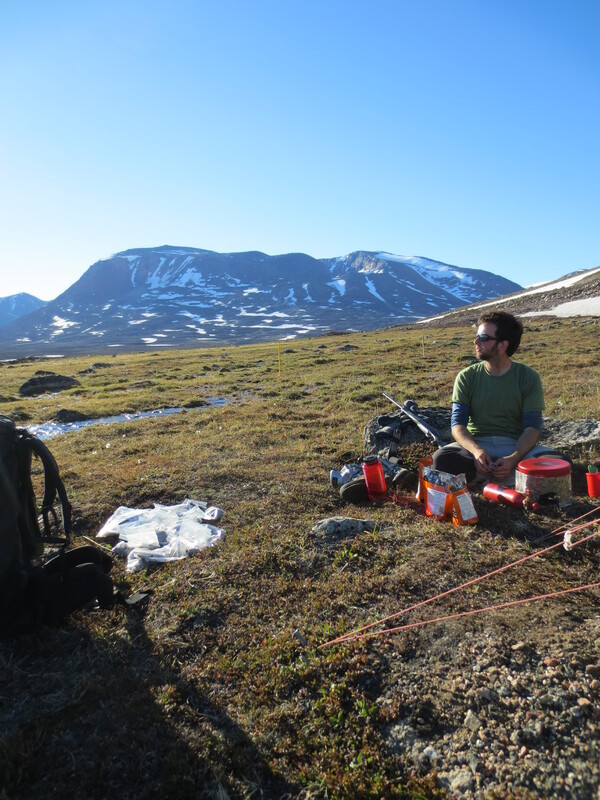 It was going to be a long day of sampling but it was a beautiful day in Blaesedalen with a warm sun shining on the yellow and red vegetation – there was a great sense of Autumn in the air! We were also armed with some flapjack that we had baked (and taught some of our Danish and Austrian colleagues about this oaty, sugary treat. They all seemed to enjoy it!). We managed to complete the sampling quite quickly – the river levels were quite low today, after a period of dry weather, and so it was easy to reach our sampling locations. As we headed back towards Arctic Station we saw a helicopter arrive at the helipad, which isn’t too far from the station. There’s always something especially exciting about seeing a helicopter! Sediment sampling. Wrapping the sediment in foil prevents contamination. It’s like rolling many tiny burritos. We even managed to arrive back at the Station in time for dinner with the other scientists. Today is Lena’s Birthday – she is a Masters student from Copenhagen. Our sweet colleague Michele had made a giant lasagne. A real treat eating lasagne expertly crafted by an Italian person! After dinner we watched a video about Sirius Patrol, which brought back excellent memories of our BBQ with Sirius in Zackenberg, East Greenland last year. It also made us all want to come back to the Arctic in the winter when the snow is thick! We are looking forward to taking the final few samples tomorrow! We’ve just got back from four days of camping at our field site. Camping gave us easy access to the ice cap and the northern part of the valley. We had some really good weather – apart from a short hail downpour, which made for great views of the ice. It got pretty cold at night though, and we woke up to frozen boots and frost on the tent. Fortunately, we had plenty of hot porridge and coffee to wake us up. 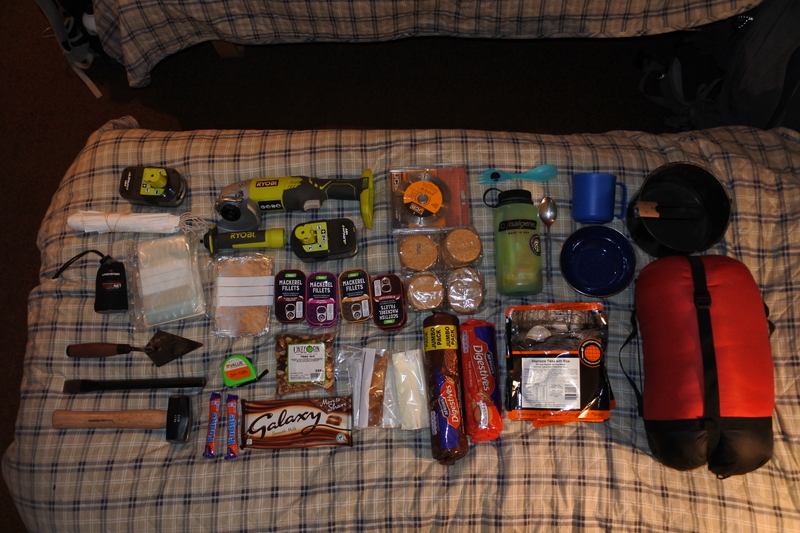 All our equipment and food for the four day trip! Warming up with some expedition ready meals outside the tent! Just before we left the station, we met up with dear colleague Michele from GEUS, who we have met before at Zackenberg, on the East coast of Greenland. 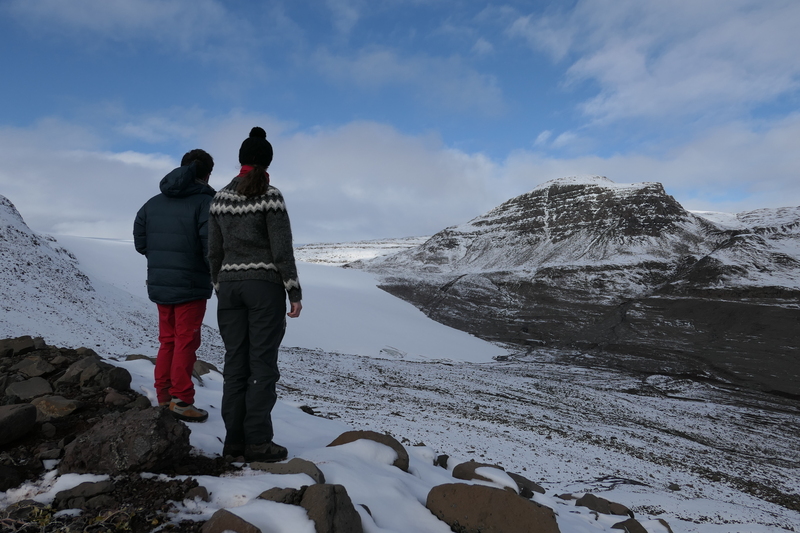 Michele and his colleague Daniel are here at Disko to continue their monitoring of the Chamberlain Glacier. They were also heading out to the ice cap during our visit and we were pleased to see them arrive at the glacier while we were working on the foreland – we didn’t get close enough to speak to them at the time, but they provided excellent scale bars for our photos. Looking over the snout and foreland of Chamberlain Glacier. 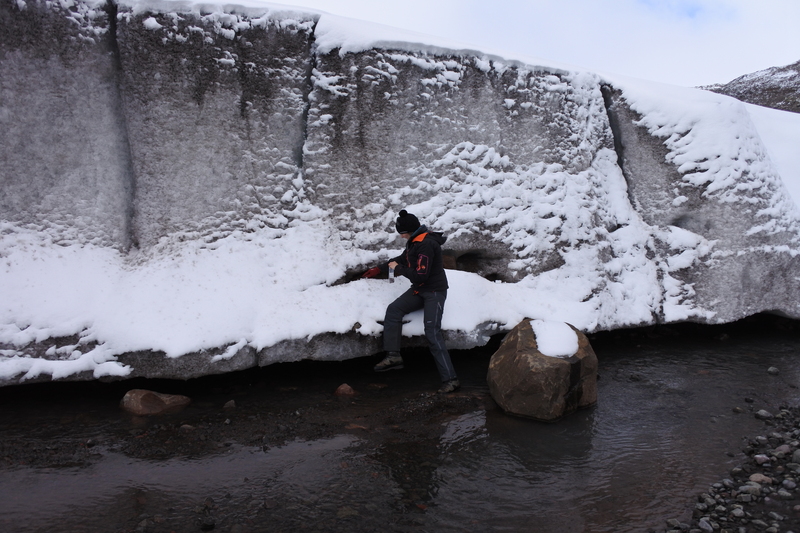 We managed to get right up to the glacier and take sand and pebble samples from within the ice (englacial sediment) and underneath it (subglacial sediment) as well as from the meltwater streams that flow from the ice. This will allow us to identify what kind of minerals are being transported from the glacier and deposited along the valley. Kathryn sampling englacial sediment from Chamberlain Glacier. 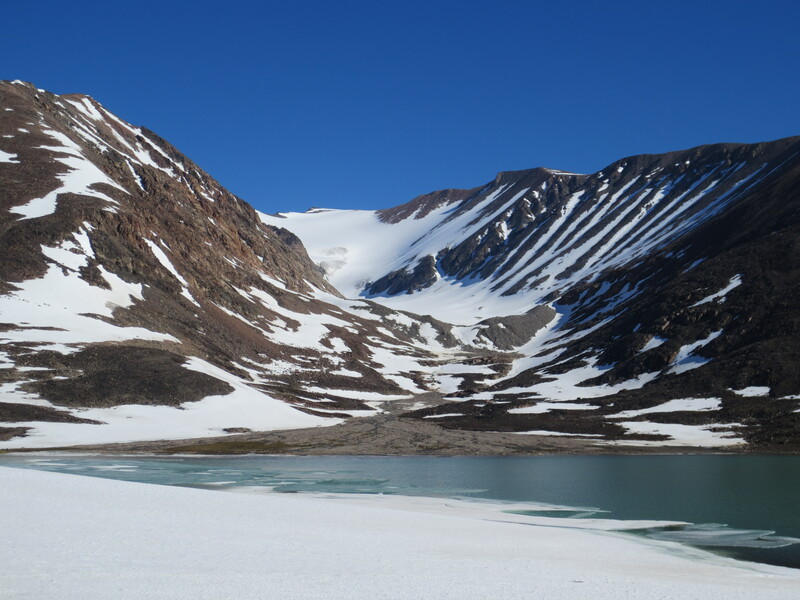 On the second day of our trip we headed north to visit another glacier – one that features in one of our recent journal papers – and we went back to take some more samples from the moraines as well as the meltwater sediment. This time the foreland was pretty messy, with lots of large mounds of material, and we couldn’t make it up to the ice front. Which was a shame! But there’s always next time…. That evening we were treated to the northern lights over our tent. It was sub-zero temperatures, but we still managed to stand outside the tent for long enough to see them before a very bright moon came up and they were less visible. We were glad to have gathered plenty of samples and the following day we made the six hour journey back to Arctic Station. It’s quite a varied walk, with a mixture of steep scree slopes, dense scrubby vegetation, bogs, and bedrock canyons, so it can take quite a while! We spent most of the journey daydreaming about making chilli for our evening meal. 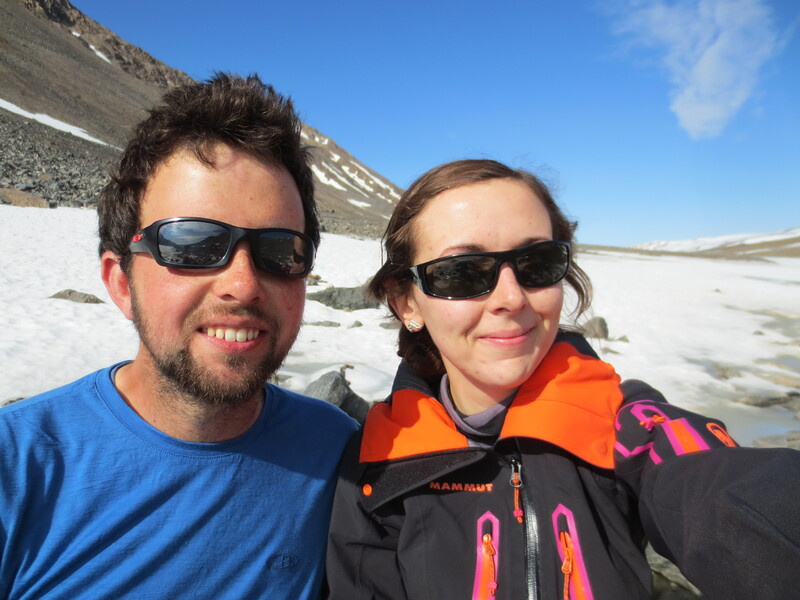 When we arrived back at Arctic Station, Daniel and Michele were not far behind us, and, just like us, they were sporting the ‘glaciology sun tan’ – basically a red face. We were easy to spot amid the other researchers at the station. Kathryn sporting matching trousers and face. After making our chilli – improvised with chorizo sausage and supplemented by some minke whale that had recently been caught in the town – we had a nice evening chatting to the other researchers in the lounge. Some of them had devised a game based on the texture and colour of sediments. The format: four contestants – including the station manager – and an ‘international panel of expert judges’ (aka the red-faced glaciologists who represent Italy, Austria, and Britain). By rolling mud in their hands, until it forms a sausage shape, the contestants use the standard sedimentology technique of ‘hand texturising’ to determine how much clay, silt, and sand is in the sample (honest, it’s a real thing!). The prize: pride…oh…and a small glass of cognac. Success really all came down to the sausage. It was one of the nerdiest games we have ever witnessed, but we were all in agreement that it would make for an excellent prime time TV show. After a fun filled evening of mud sausage rolling, we had a well-deserved (if we may say so ourselves) day off which was spent sleeping, eating, baking cakes, writing up field notes and washing our camping clothes. We’re now ready to head into the field again and collect some more samples! 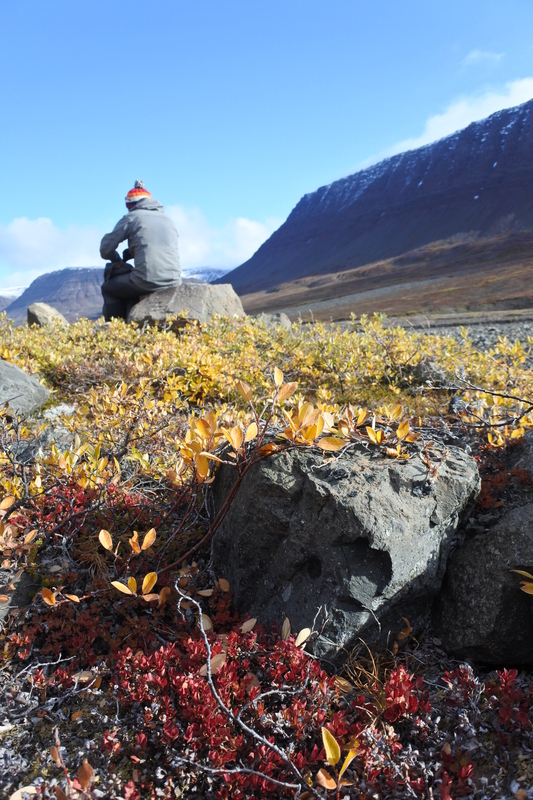 Enjoying the scenery on a moraine by the glacier. What a difference a day makes! This morning the sun was shining and the sky was bright blue. Today we have been completing a few logistical errands so that our camping trips can run smoothly. We needed to pick up our crate from the harbour and buy some benzine for our camping stove. Akaaraq was very kind and took us down to the harbour so that we didn’t have to walk across town with our heavy and cumbersome crate. We were very pleased that it had arrived – sometimes it is not possible to tell in advance whether the crate will be there to greet you. 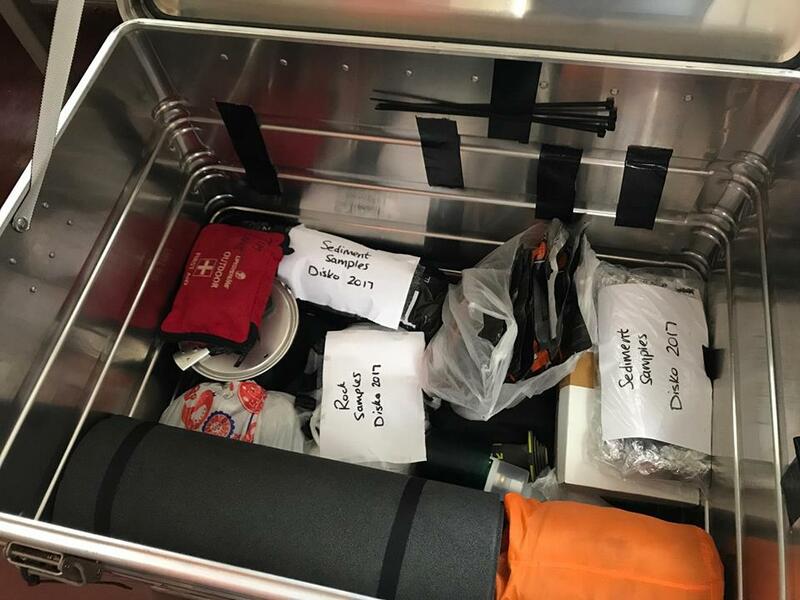 Packed in the crate were all of the essentials for our trip – sample bags, rock sampling equipment, chocolate (and other food), sleeping bag, and moisturiser (the Arctic air can be a harsh mistress!). We sat down with the map and planned our trip, day by day. Fortunately, with every trip we add in some additional days to account for possible bad weather – this means that even though we are a little bit delayed due to our prolonged stay in Aasiaat, we still have plenty of time to complete the work that we had intended. We looked at the weather forecast and it seems that for the next few days the sunshine will remain, so we are planning on a four-day camping trip at the ice cap. We’re looking forward to getting started on some sampling! In preparation for our camping trip we went on a short reconnaissance visit to Blaesedalen – the valley that we walk up to get to the ice cap. 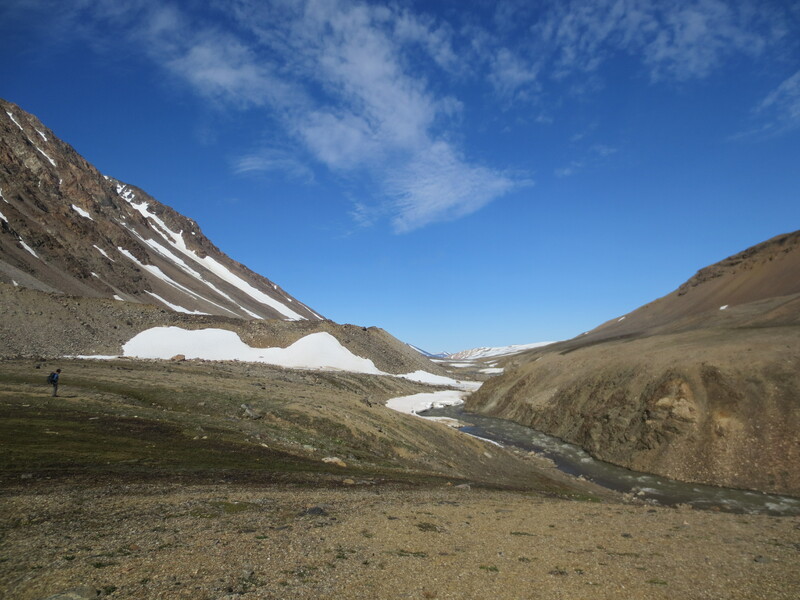 Last time we were here, it was often difficult to cross the meltwater river as it is so wide and often deep. There used to be a small wooden ‘bridge’ (actually a wooden pallet across a gorge), and we were so pleased this year when some of the other researchers told us that the pallete has been replaced with a genuine bridge, complete with hand rail, made from wood and concrete This will make our journey to the ice front much easier. We spent the afternoon checking out the location of the bridge so that we know exactly where to walk tomorrow, and therefore can minimise unnecessary walking when we will have heavy rucksacks and equipment to carry. We are really looking forward to starting our fieldwork in earnest! We will be back to the blog again in four days after our camping trip. 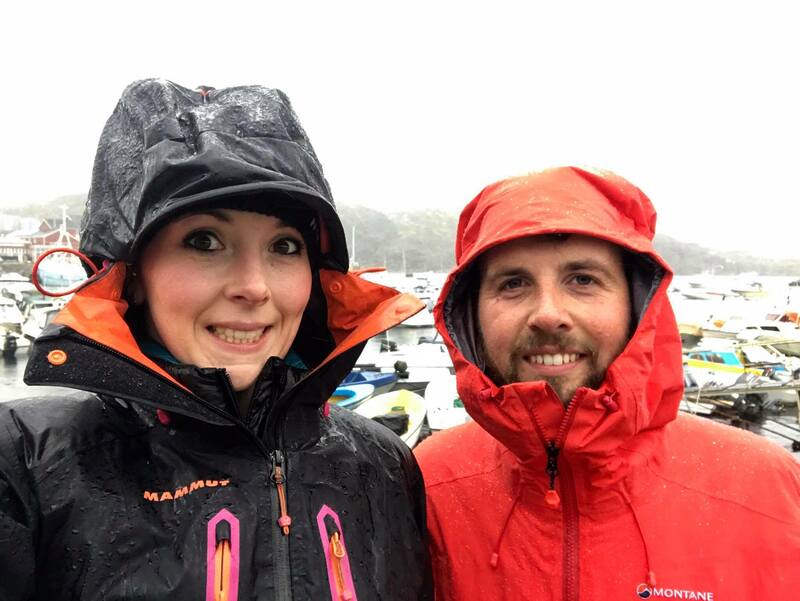 No sooner had we switched off our laptops from writing blog post 1…that we received a message to say that the ferry was cancelled due to continued bad weather, and that we would leave the following morning. Fortunately, Sømandshjemmet had another room available and we were able to stay the night without too much moving around town. Staying a little longer was no bad thing – we had recently met an employee from Tele Post who had invited us to their party in the town to celebrate the internet expansion. They had set up a big marquee outside the large Tele-Post office, and there was free coffee, cake, biscuits, jelly beans, and pens. Everyone knows that an academic loves a free pen! Not to mention coffee and cake. A lot of people from the town had arrived, including the police officers, Royal Arctic Line staff, school children, grandparents, and construction workers. We met a nice Greenlandic lady who was asking us about our favourite football teams – she seemed to like Manchester United. Colourful houses in Aasiaat. A feat of engineering – because they are built on bedrock many of the houses are very creative with their use of the ground. While we had time to spare, we helped the hostel staff take delivery of a treadmill, went for a walk and met a husky puppy, wrote a conference abstract, and went to peruse the local shops. Before we knew it, the morning had rolled around and we were waiting at the harbour for our boat. It was much smaller than in previous years, but it was very new, with comfortable seats and a radio. It was quite a rough crossing, with lots of waves crashing against the window, so we were glad for a seat indoors. We met a local Greenlandic man travelling with his guitar from Aasiaat to his home town of Qeqertarsuaq, to play a gig in a bar. He asked if we’d join him for a dance – can’t wait for that this evening! It was good to finally arrive on Disko! 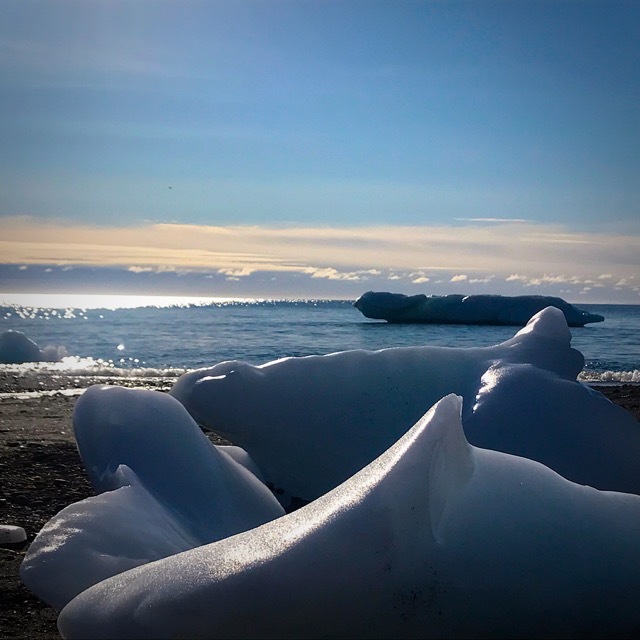 Lots of beautiful icebergs in the bay and snow on the plateau. We quickly disembarked the boat, and made a customary stop at Pillersuisoq to pick up some cinnamon swirls, before making the trip across town to Arctic Station. Much of the town was just as we had left it four years ago – with the addition of a new bar (maybe that’s where our friend will be playing…). Walking up over the bedrock ridge and seeing Arctic Station sat nestled at the bottom of the plateau was a great feeling (especially seeing as it was raining and we desperately wanted to eat the cinnamon swirls). We were greeted by Akaaraq, who had been one of the logistics managers at the station during our previous visits, and it was so nice to see him again! We are now fully installed at the base chatting to the other researchers, with cinnamon swirls and coffee, and ready to start our fieldwork at last! We’re just beginning our new INTERACT field season at Arctic Station on Disko Island. It’s been a while since we worked on Disko – back in 2013 (time flies!). 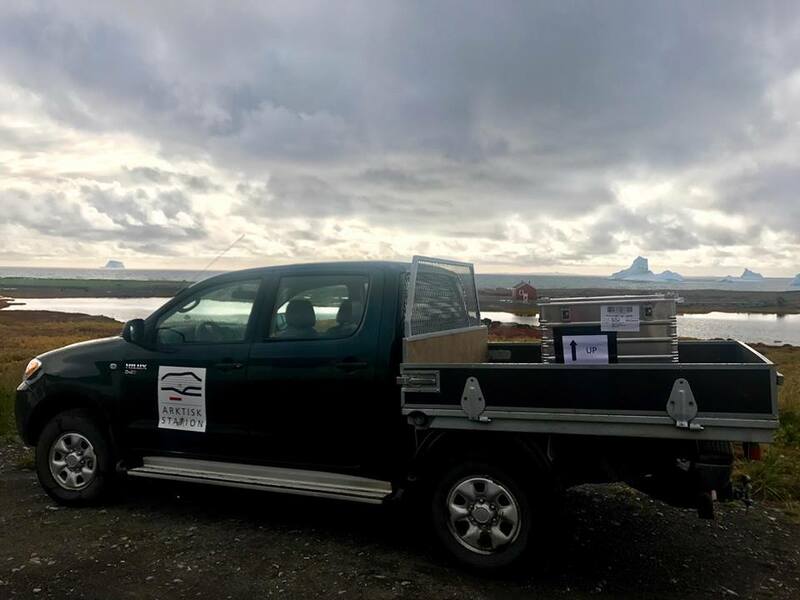 This season we will be heading back to our previous field sites, collecting samples for a new project ‘GLAMSTAR’ – where we will be examining mineral and carbon content of meltwater river deposits (sand and gravel). This will help us to figure out what kind of stuff is coming out of the glacier in meltwater, and where it is being stored in the foreland. We also have a new piece of equipment, a UAV (drone), so that we can get some aerial footage and photos of the field area. We are looking forward to revisiting Disko! Our journey from the UK was going smoothly until we got to Kangerlussuaq, and we received a text message to say that our ferry from Aasiaat was cancelled due to bad weather. 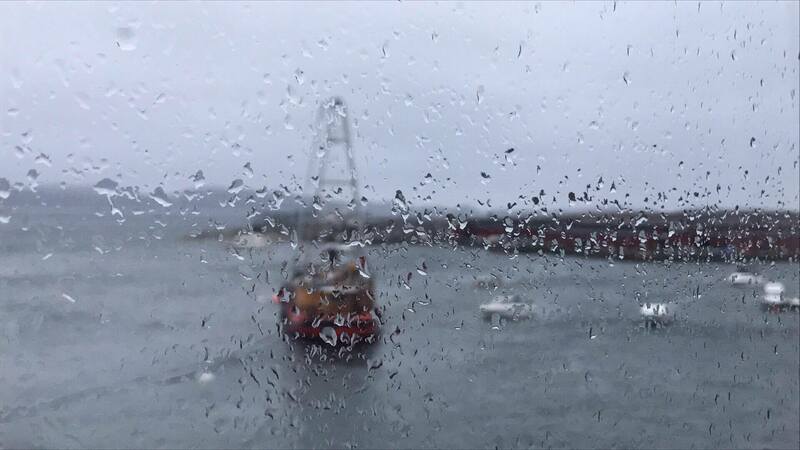 When we arrived in Aasiaat we could see why – lots of rain and strong winds. Fortunately, we had our waterproofs and down jackets to hand! 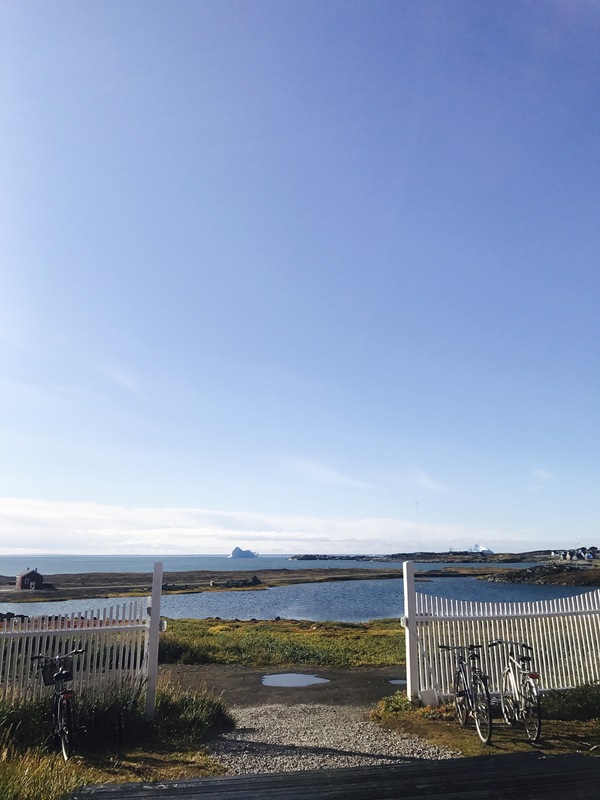 Luckily for us, the only place with a free room was Sømandshjemmet – a seaman’s hostel that we have visited twice before. They always have a very friendly welcome and excellent cake in their cafeteria. It was the perfect refuge from the bad weather and we could wait it out until the next ferry the following day. We had a very nice apartment with a view over the harbour and, more importantly, a big outcrop of ice moulded bedrock next door. The hostel was bustling with a conference by Tele-Post – a communications company – who are extending the internet up the west coast of Greenland from Nuuk. So it was cause for celebration. (including free cake in the local supermarket!). We braved the bad weather to head for dinner in our favourite café in Aasiaat – Café 3 – where there are excellent burgers and nachos. We can fully recommend it if you are ever in town. Overnight, the bad weather cleared and the harbour was back to its bustling self. We spent the morning looking around town before our ferry. We met some very welcoming local people, saw some nice photography and paintings in the local visitor’s centre, some huskies having a rest until the snow arrives, and stocked up on supplies ready for our journey over to Disko. It’s been nice to spend some time in a town that has in the past been just a fleeting visit. Thanks for a great stay Aasiaat! Hopefully our next blog will be from Arctic Station…. How do Earth scientists turn the scribbles in their field notebooks into a piece of coherent research? 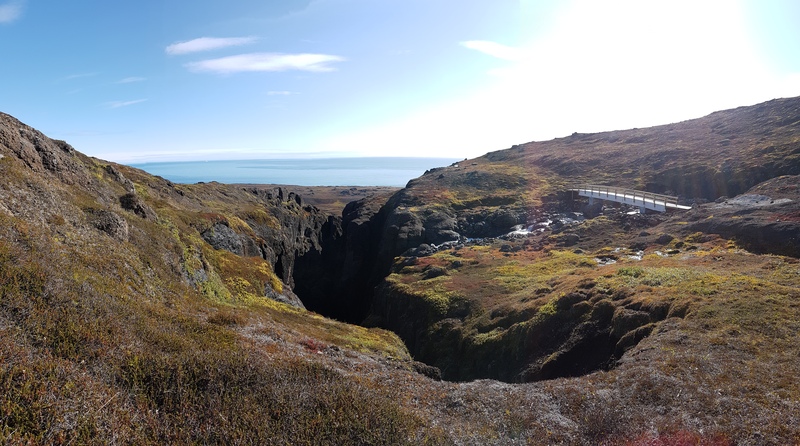 It has been almost a year since our latest INTERACT field trip to Greenland, and we have been busy analysing the data and writing research papers. This week we are at the European Geosciences Union (EGU) in Vienna presenting the findings from our fieldwork on Disko Island. 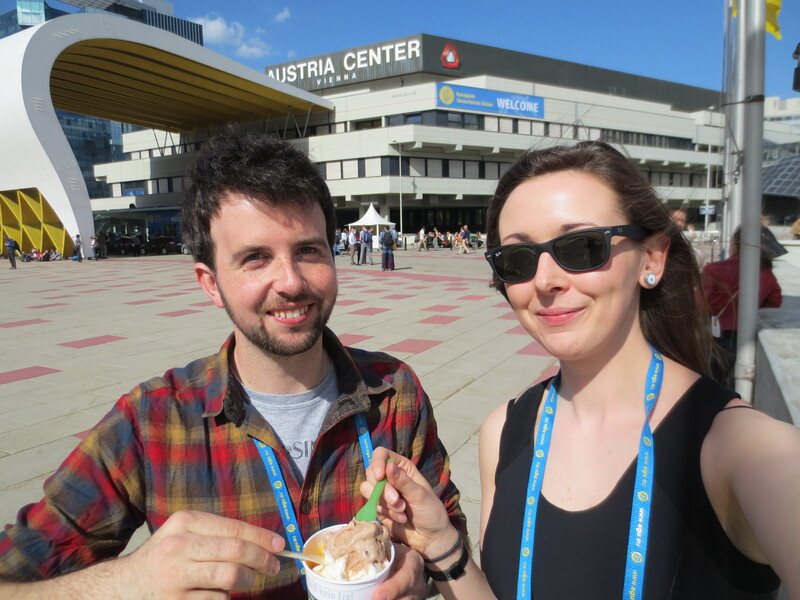 We take a look at the transformation of data from fieldwork to conference presentation, and explore what life is like at an international scientific conference. 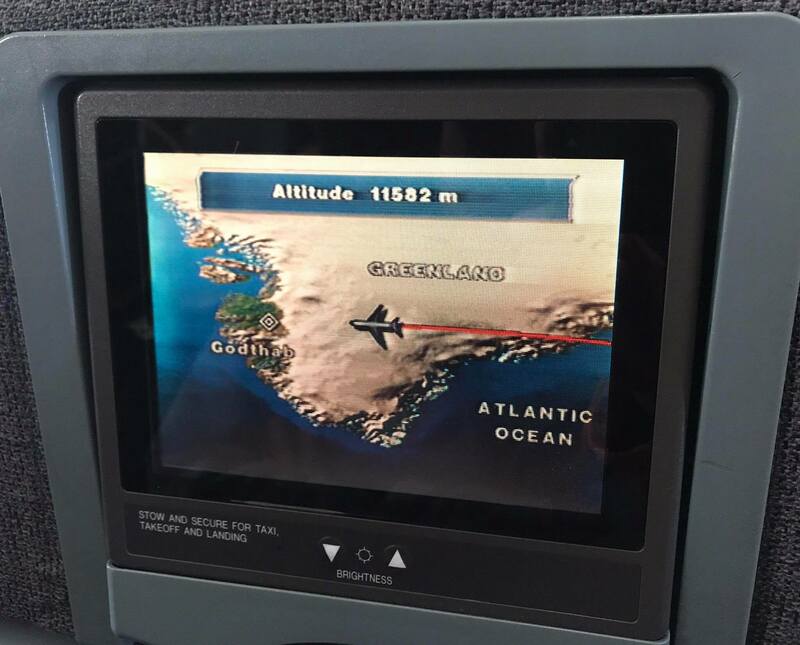 When we get back from Greenland, we type up our notes, enter our data into spreadsheets, draw our maps, and test for any patterns (or sometimes lack of patterns!) in the data. Once all of this is done, we can sit down and look at the data as a whole, and begin to formulate our interpretations and conclusions. 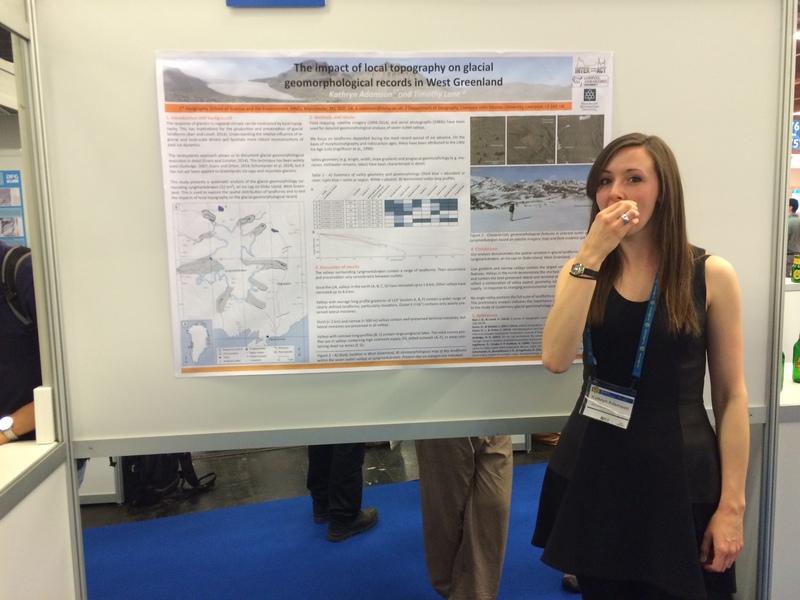 For the EGU, we then presented our findings in a poster format that we will present to other scientists in our research field. Why do scientists go to conferences? Research conferences are not just a bunch of scientists gathered in a convention centre. Far from it! Conferences provide an opportunity for researchers to present their latest findings to a group of like-minded scientists. 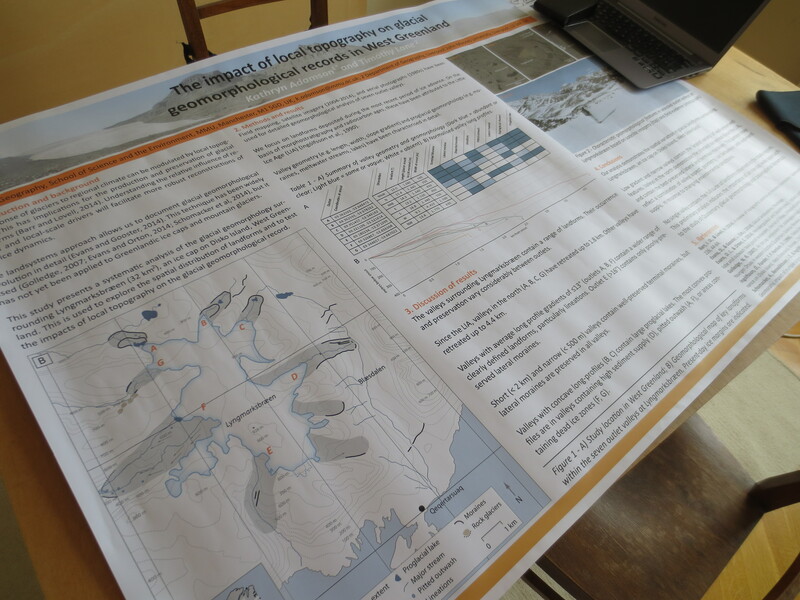 This can take the form of short oral presentations that last around 15 minutes, or poster presentations where large (A1 or A0 size) posters are displayed for other scientists to look at and discuss. To avoid confusion when there are over 10,000 scientists, large conferences are organised into themes or ‘sessions’ based around particular research fields. Some examples might be ‘Glacial geomorphology’, ‘Sea level change’ or ‘Research on Mars’. Each session will involve a series of talks as well as a poster session. 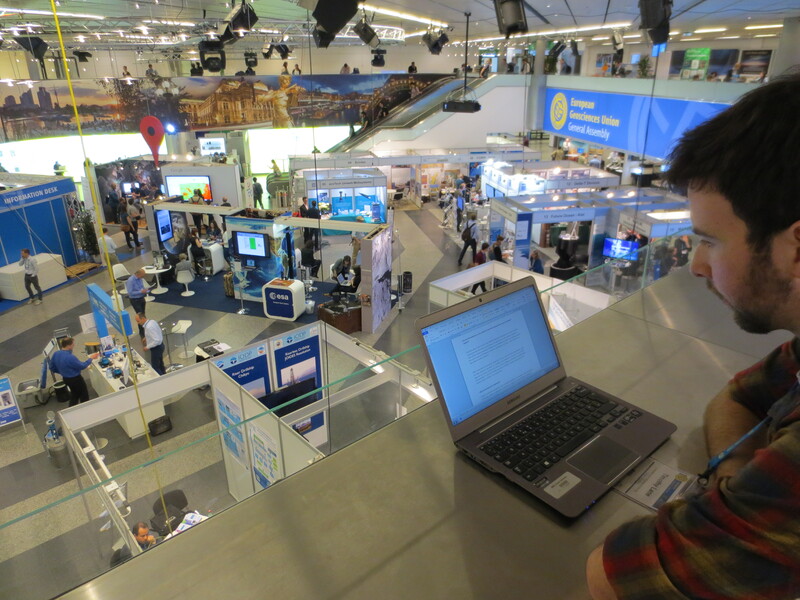 Large conferences such as the EGU happen every year, and there are many sessions happening at the same time. It is a bit like pick-and-mix science. The audience can drop in and out of the sessions that are most relevant or interesting to them. If you find yourself with nothing to do for a while, there are always plenty of books, equipment, free merchandise, and fun to be had in the exhibition hall. This is where publishers and scientific companies hold promotional stalls. It isn’t uncommon for a researcher to come home from a conference with a handful of free promotional pens, some notebooks, t shirts, mugs, and bags. This year, our favourite is a key ring made from parts of a Google satellite! As well as the formal scientific part of conferences (and the delights of the exhibition hall! ), they are also an excellent opportunity to catch up with colleagues and friends from across the world, and make new contacts through informal discussion with other researchers in your field. There are plenty of opportunities to chat over coffee (and other beverages!) through the day, and meet up with friends in the evening. In fact, it is often at conferences that the best networking opportunities arise, and it is a great time to discuss new projects. Sometimes, it is a bit like a game of Earth Science iSpy – spotting your favourite researchers from books and journal articles that you have read back in your office. 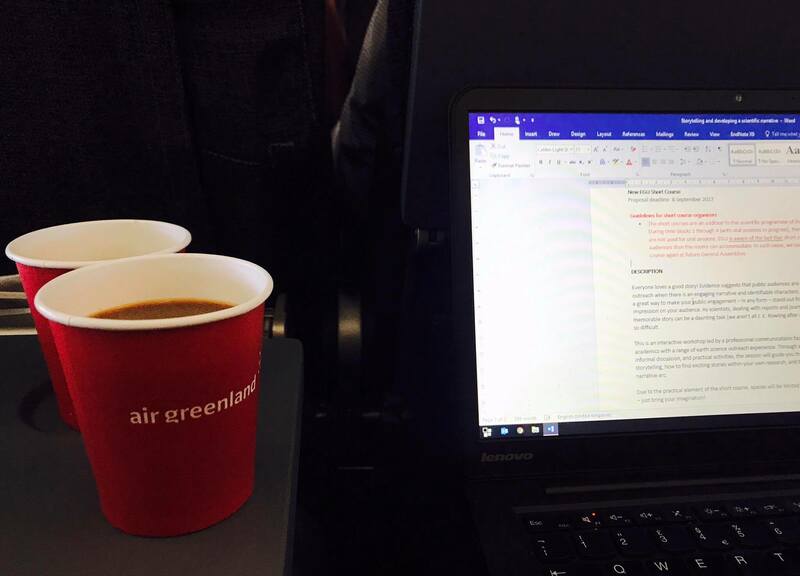 Above all, it is great to see the outputs of all of your hard work – even when months of fieldwork are boiled down to just a few minutes! After our camping trip – and a day recovering at base – we have spent the last few days taking day trips to sites surrounding Zackenberg. One of these locations was Lindemans valley, around 5 hours walk to the north of Zackenberg. We had seen some prominent glacial features here and wanted to go and investigate. Unlike the other valleys, which are made of volcanic rocks, Lindemans is made of sandstone which has been very heavily cut into or ‘incised’ by the river, and it is now a deep gorge. The soft sandstone rock makes it very susceptible to weathering and the valley is lined by large debris fans and scree slopes which made for a lot of scrambling over boulders. We had a very interesting walk down the valley mapping some of the river and glacial deposits, and discussing the potential glacial history. 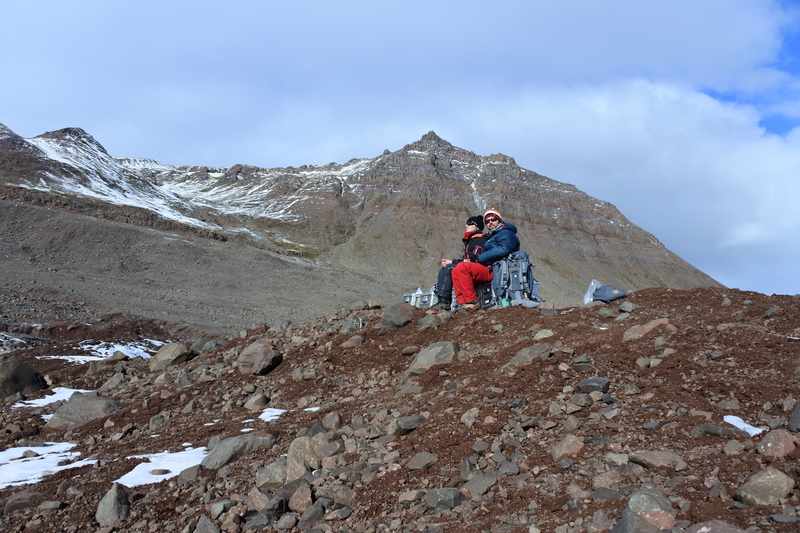 We also sat down to have our lunch on one of the big scree slopes while overlooking the meltwater stream. 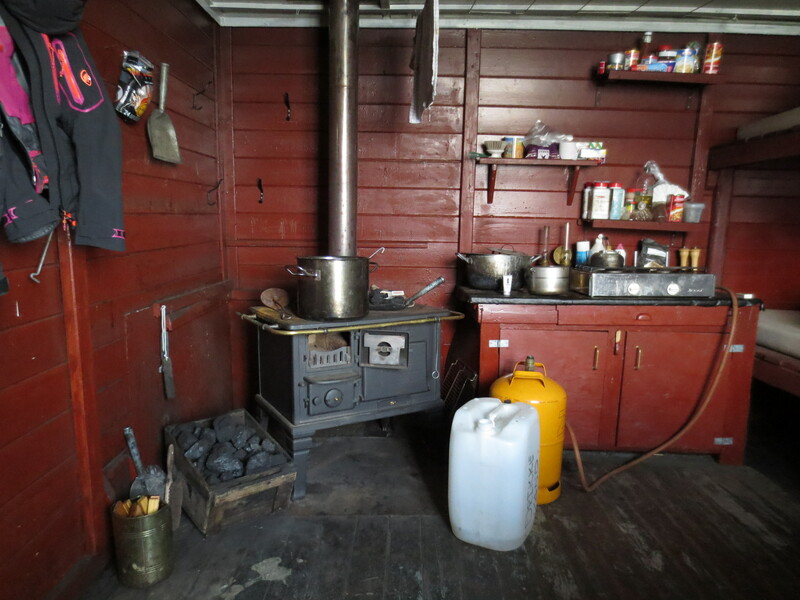 The well-stocked kitchen in the trapping station. 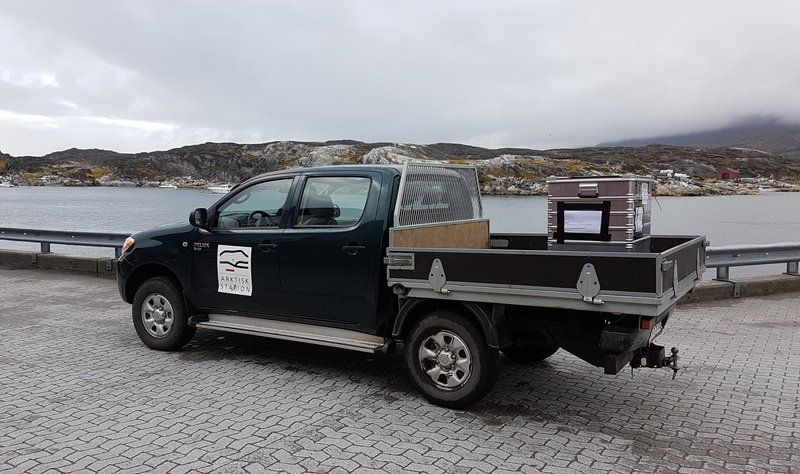 We have also visited a large bedrock outcrop in Tyrolerfjord, west of Zackenberg, so that we could collect some rock samples for cosmogenic nuclide dating. 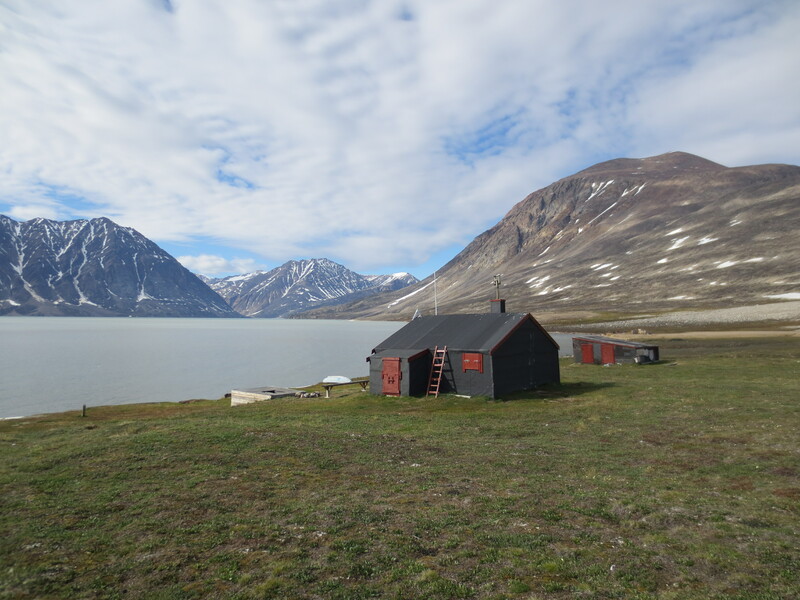 This involved a three hour walk down the scree-covered fjordside via a small ‘trapping station’ – these are old cabins which were once used by Danish ‘Trappers’ who operated from around 1908-1960 collecting skins of foxes and bears and selling them in Europe. While working, the trappers would spend their winters staying in these cabins. Sirius, the special Danish patrol, also uses the huts when on their way through the area from their base at Daneborg – which is only around 30 km along the fjord from Zackenberg. 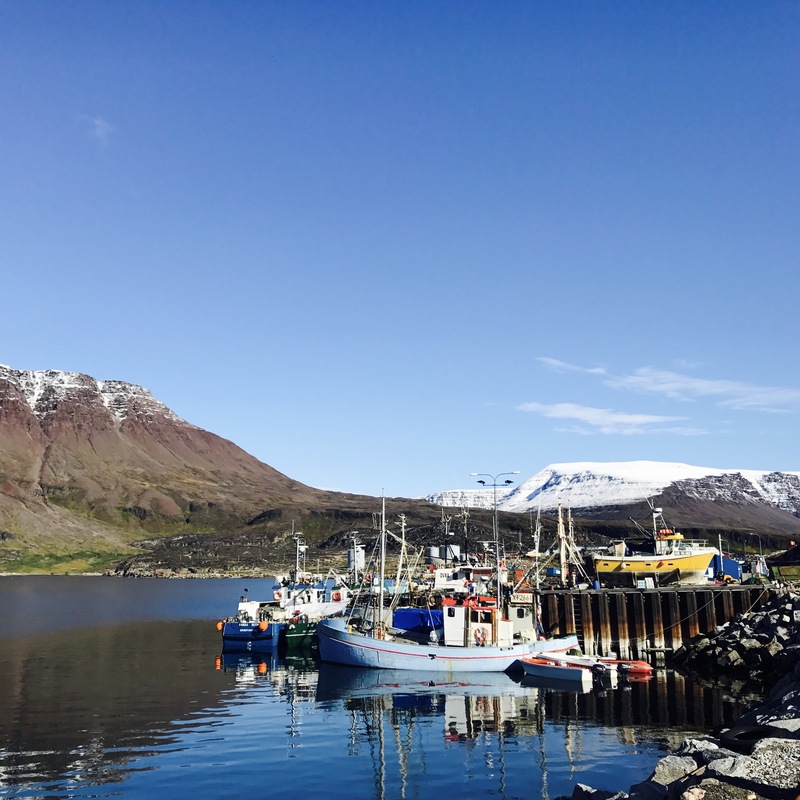 The team at Zackenberg is lucky enough to have one of these cabins only a very short distance away, and many of the researchers spend their days off staying there and going fishing in the small coves nearby. The Zackenberg trapping station was built in around 1945, and is well equipped with a bunk bed, stove, table, and a small garage. The field site that we wanted to visit was located only a few hours’ walk away, making the trapping station a perfect location to stay in after a day in the field! 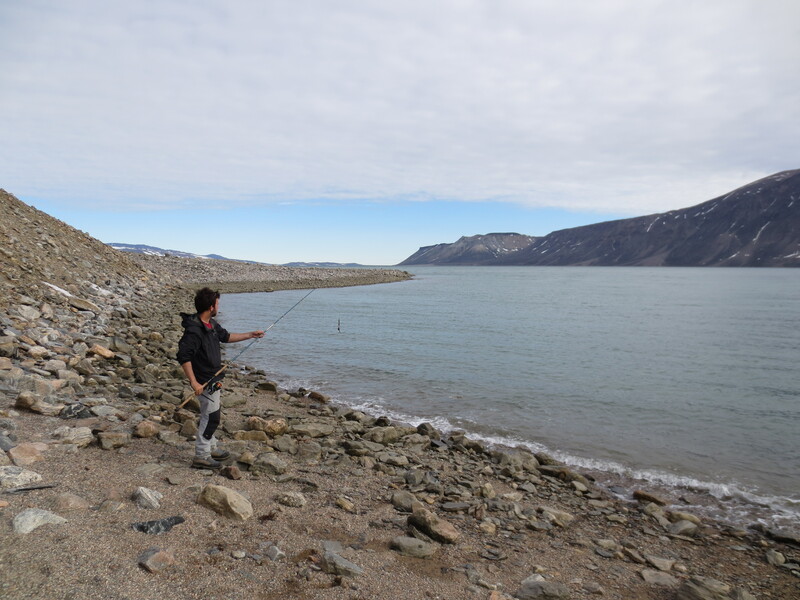 Jannik, the scientific leader at Zackenberg, kindly gave us some of his fishing lures so that we could try our hand at fishing once we had finished our sampling. We had a great time staying at the hut! 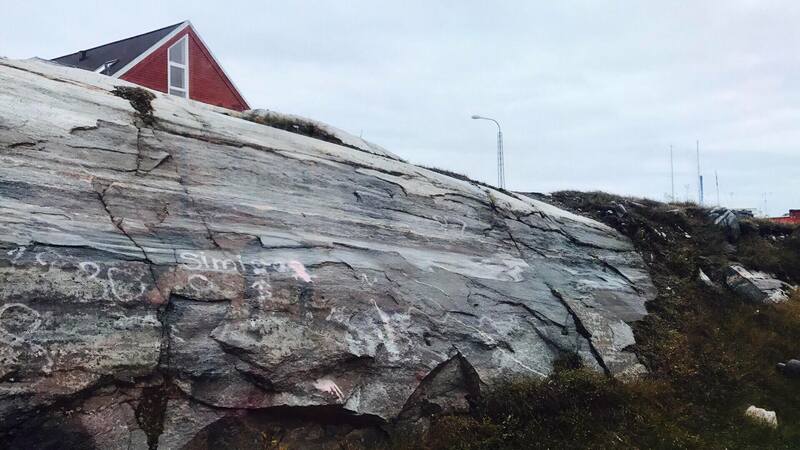 It was nice to learn more about the very rich history of this part of Greenland. 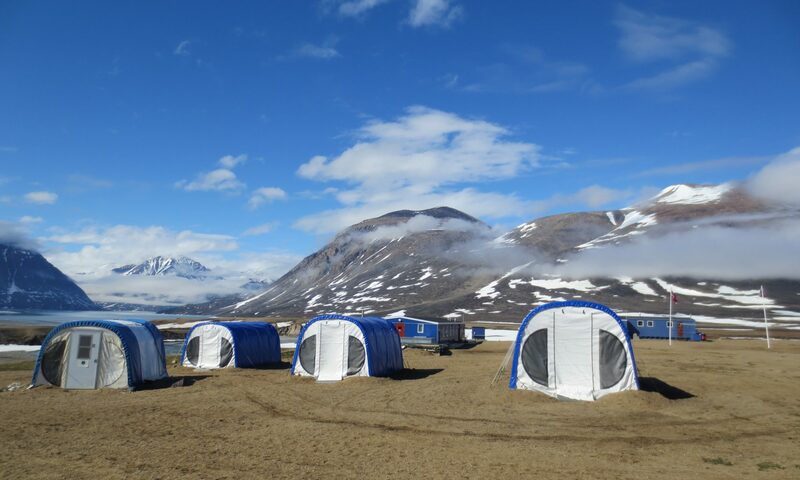 We leave Zackenberg in only two days, and it is now time to start preparing our samples ready for transportation. 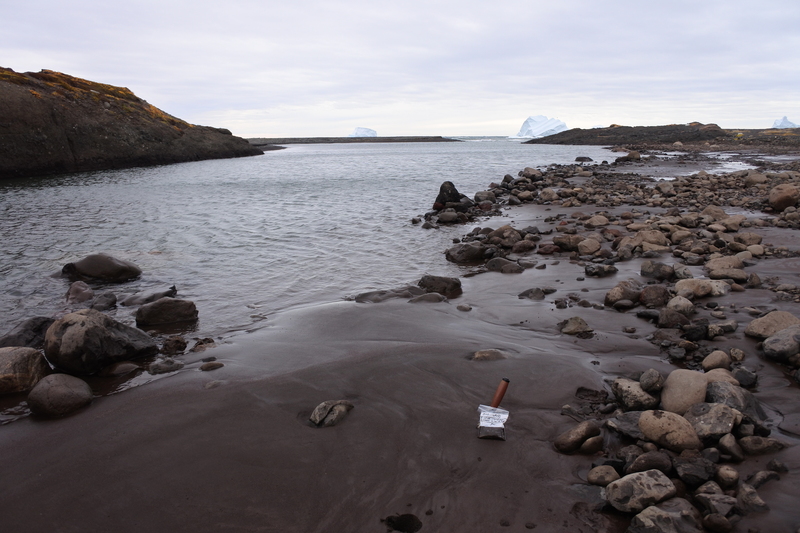 The sediments (sands, silts, clays etc) have all been air drying in the lab at Zackenberg. This ensures that any excess moisture has evaporated so that the samples do not weigh too much in our luggage – the twin otter is only small! Bogs and boulders. If it’s not one thing, it’s another. We’ve had an action packed few days up here in Zackenberg. After a weekend of great weather, the clouds closed in and we experienced a few days of very cold temperatures, high winds, and prolonged rainfall. All research at the base came to a bit of a standstill – the ornithologists could not go out and search for birds’ nests, measuring the river levels became difficult, and we were unable to walk into the mountains due to poor visibility. Amidst all of this, on Monday a plane of VIP guests arrived at the station. They were professors from biological and geoscience faculties across Europe (with representatives from Norway, the UK, Denmark and Germany). They visited Zackenberg as part of a Greenland-wide tour to evaluate the research stations here. One of the locations on the list was Arctic Station – our home last summer! Due to the high winds the twin-otter, which brought the VIPs, had to make a special landing by flying into the wind and using the short landing strip which is less than 100 m long. An impressive sight to see! Kathryn checking the tent is working and didn’t have any holes in! 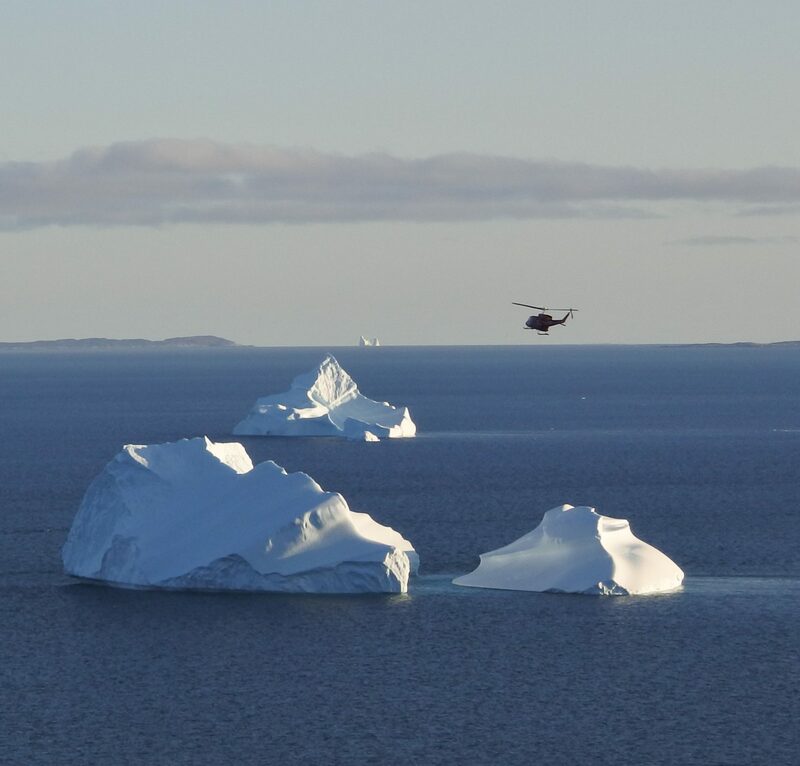 The following day, Tuesday, was ‘plane day’ – a plane arrives at Zackenberg every Tuesday afternoon, ferrying staff and researchers to and from the camp. We bid farewell to some of our fellow researchers Toby, Nils, Michelle, and Mikhail, and the chef Dina, and greeted a new group of researchers and PhD students from Denmark, as well as the next chef, Helle. As the weather started to improve, we began to prepare for our camping trip where we would do the bulk of our mapping. After the rain had largely stopped, we had to wait 24 hours or so for the water levels in the streams to drop so that they were low enough for us to cross. Fortunately, Laura, one of the field technicians here at Zackenberg, monitors the stream levels every day, and she was able to tell us when the water levels were falling back to their normal or ‘baseline’ conditions so that we could decide when was safe to begin our long walk to the ice caps. In the meantime, we had a good look around the garage and with the help of Kenny, the logistician, assembled our equipment: tent, sleeping bags, ground mats, stove, polar bear trip wires, radios, emergency beacon, and flare. It was going to be a long walk with all of that gear!! Our bags for the trip, packed and ready to go! On Thursday we set off for a four to five day trip (depending on how the work went!) to the western end of Store Sødal, a large valley which joins the Zackenberg valley which the station is in. 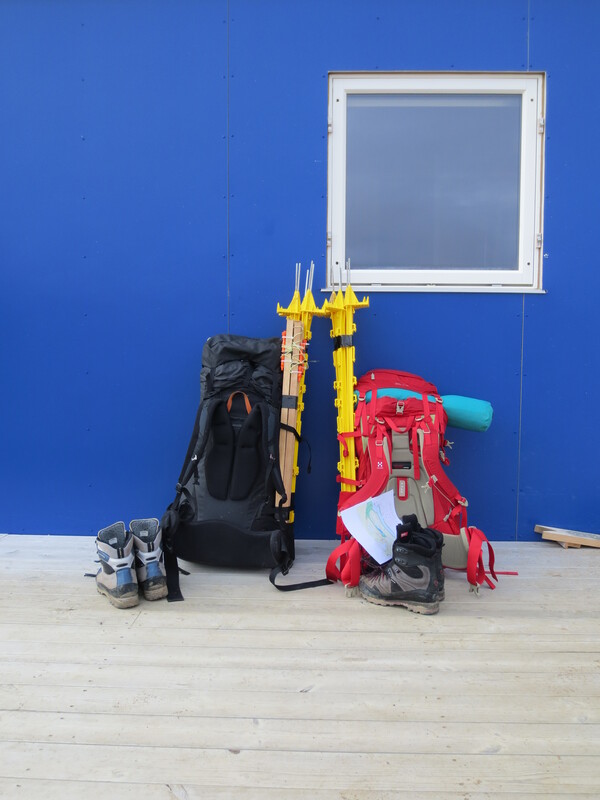 Alongside all our equipment we were also carrying enough food for several days of long walks and days of fieldwork! 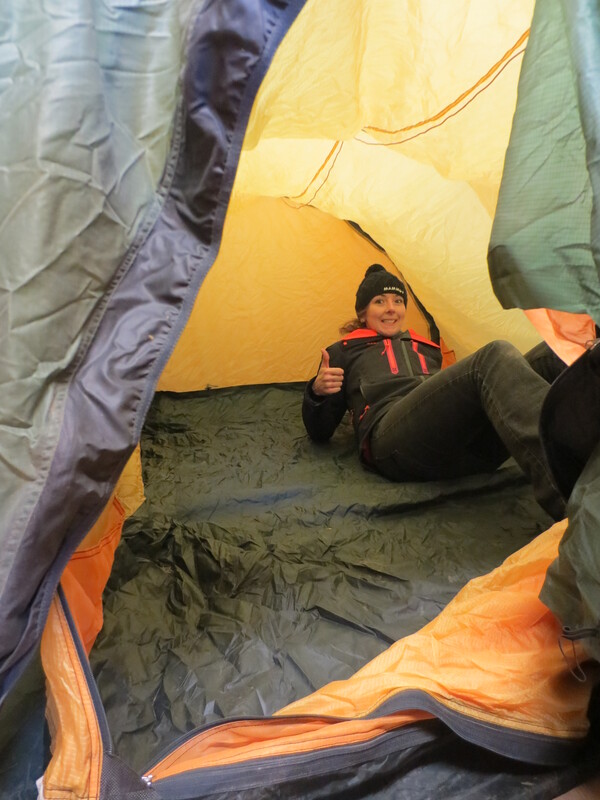 The aim of the first day was to walk through the Store Sødal valley and find a suitable place to camp for several days. 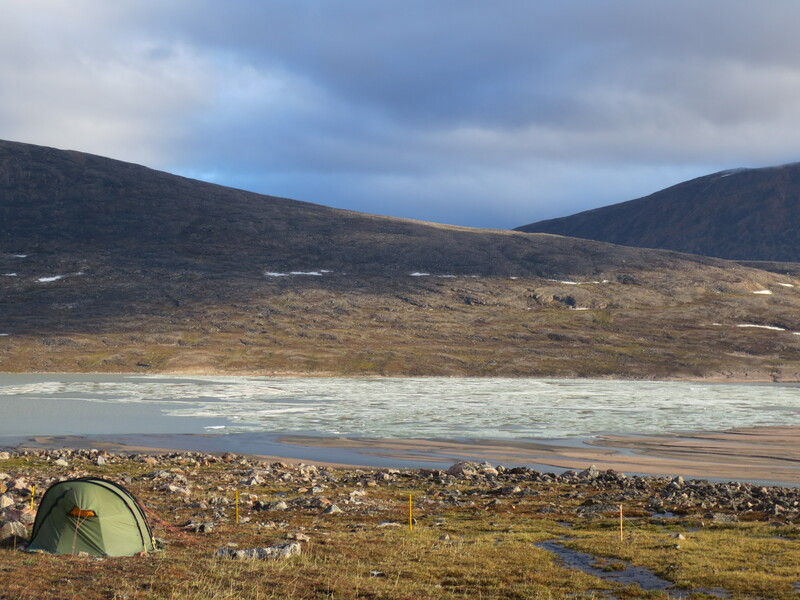 Though we could have moved our tent every night to keep closer to the field sites, taking down the tent and polar bear trip wires is quite a time-consuming procedure, so it was easier to stay in one place! The weather was perfect for a long walk on the way out, a slight wind and some clouds in the air kept the temperature cool and the mosquitos away. Due to the heavy bags and the tough, variable terrain, the 25 km walk took about 12 hours to complete! Firstly we walked along the road which leads out of the station and, due to the late arrival of the summer, is almost knee deep in water for much of the way. After this we had to head through several kilometres of bog, cross a river, climb over some hummocky moraine just to reach the Store Sødal valley! Within the valley we followed the northern edge of a large lake, hoping over endless scree slopes and debris fans covered in boulders, and jumping from one grassy tussock to another trying to dodge waterlogged areas. We arrived in the area we wanted to camp in at 10pm, and found a finding a suitable place to camp remarkably quickly – close to two running streams. We set up our tent and encircled it with the polar bear trip wire – connected to a series of warning flares. If a curious polar bear (or musk ox) decided to come and have a look at our tent during the night they would trip this, waking us up so we could take action! 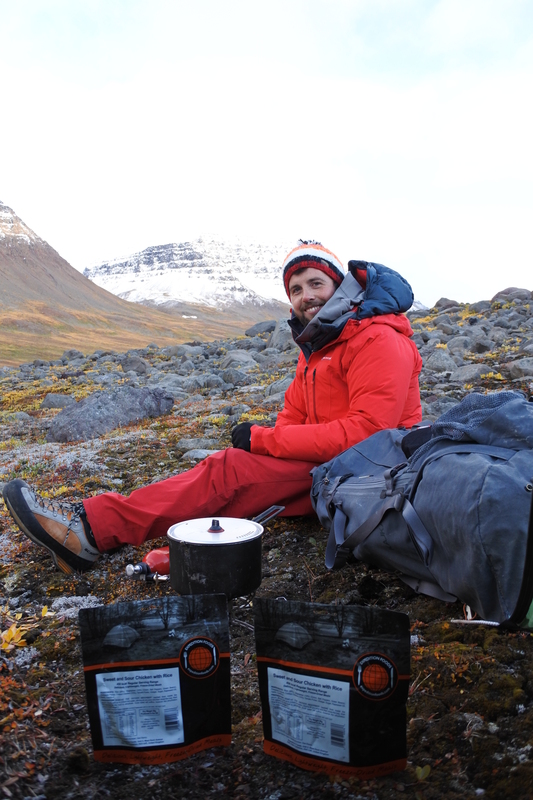 We quickly warmed up some freeze-dried beef curry and got to sleep to rest our legs ready for the next day’s fieldwork. Unfortunately the weather had different ideas for us, as rain and low-cloud set in all night and the next morning. As we didn’t have anywhere to dry our clothes if they got wet, and because we wouldn’t be able to see far enough to map the features we wanted to, we remained in our tent hoping it would pass. By lunchtime it had, and fuelled with rye bread and salami we set out into the Slettedalen valley. After crossing the river we headed up the hillside to investigate a series of features we’d observed from lower in the valley. Once we arrived at them we mapped how big they were (using a GPS), took notes on their appearance, and sampled the material they were made of. We carried on from feature to feature up the valley, recording anything interesting we came across. Piecing this all together will eventually tell us how these features formed, about the history of the valley, and if it was glaciated. Once back at the tent we had our tea of rehydrated expedition meals (very tasty – Kathryn had beef hotpot, Tim had chilli con carne), dried fruit, and a make-shift mocha. The next morning we woke up to wonderful sunshine and blue skies! Undeterred by the swarms of mosquitos we headed out for another day of mapping. We found some moraine deposits on the valley sides, indicating that ice had been there in the past. Below this, close to the present valley floor we found some sandier deposits – representing the sediments deposited by the river which drained the glacier which occupied the valley. After we had finished Kathryn emitted a squeal which could only mean one thing – she’d seen a beautiful pro-glacial alluvial fan! After a quick route plan we headed around a lake to go to the fan, where Kathryn took a series of sediments along its length. After finding a route back to the tent from the fan we had some food and got a good night’s sleep for the next day’s walk back to base. The walk back was fairly uneventful, though monotonous and long, retracing our steps over bogs, boulders, and moraines – arriving in good time for the evening’s spaghetti bolognaise. Overall it was a tiring but productive trip, and we made the most of a few days of very good weather, topping up the fieldwork tan in periods when it was sunny, but windy enough to keep the mosquitos away!